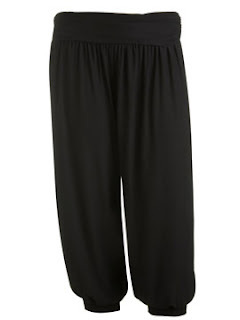 If you remember seeing MC Hammer on MTV in the late 80's or early 90's, you will certainly remember the pants he wore. 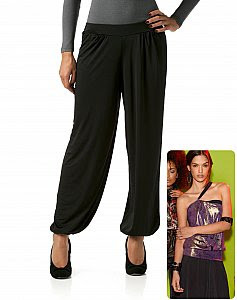 Well, they're back now; under the name "harem pants". 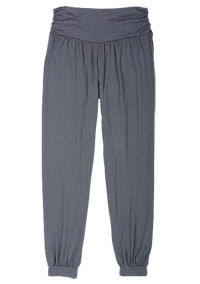 The name is because they have also been worn by Hollywood-Genies (think I Dream of Jeannie); Princess Jasmine also sported these pants in the movie Aladdin. 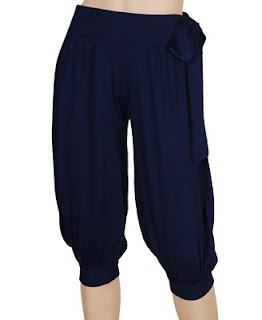 If you're already thinking about what your next Halloween Costume is going to be, these pants would be perfect for a Jasmine or Genie costume. 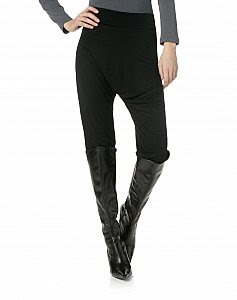 If you don't already have a clear vision of what harem pants look like, I found some images online that I will feature below. 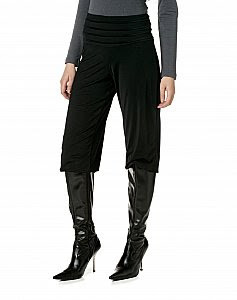 Be warned that this style of pants can be difficult to pull off, so approach with caution! It's definitely not for everyone, only the most daring fashionistas around. 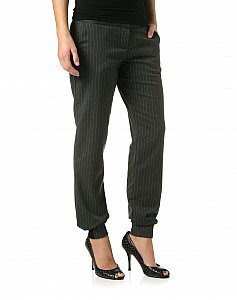 I'll even admit, I think I'm going to be sitting out on this trend myself (and believe me, I've worn some pretty outrageous things in the past), but if you're brave and feel that you can rock these pants, then go for it! Who knows? You may even inspire me to try them out one day. 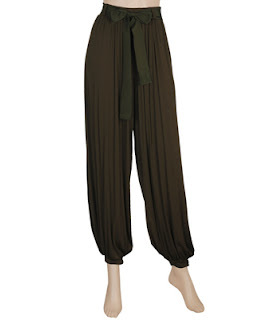 One of the reasons I'm hesitant to try out this style is due to my height (I'm only five feet and two inches tall); so if you're going to wear harem pants, I would definitely recommend pairing them with high heels. 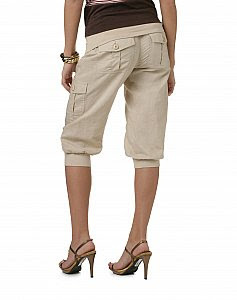 I would also suggest wearing them with a tight-fitting t-shirt or tank top to balance out the bagginess of the pants. 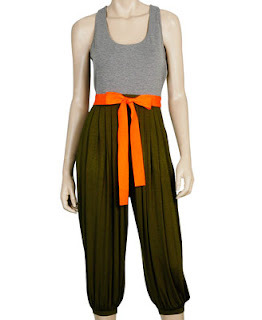 E-mail me at Charmed42787@gmail.com or contact me on myspace if you can think of any other ways to wear these pants or if you know of any other crazy trends that you would like me to write about.